Arūnas GELUNAS, Statesman and Philosopher, is a Member (Liberal Movement of the Republic of Lithuania) of the Lithuanian Parliament (Seimas). Cyrille Bret : The next European elections are due in May 2019. In Lithuania, what are the main competitors? And what are the divisive issues between the political parties on the political stage ? Electoral Action of Poles in Lithuania – Christian families Alliance party (8/141) and Non-Attached members political group (9/141) belong neither to ruling majority nor to opposition. The main topics of the campaign are security and defence on the one hand (stimulated by Russian annexation of Crimea (Ukraine) and increasing militarisation of Russia itself), and social security and labour on the other (stimulated by emigration, decreasing population and a rather significant poverty statistics in Lithuania). Thus the “social pillar” in the EU is taken seriously by national politicians. Emigration-immigration theme is more used by populist political groups to scare the electorate with “dangers to be overwhelmed by non-European immigrants”, but the actual number of immigrants in Lithuania is the lowest in Europe. Another recent “hot topic” is the products of different quality for the West and the East of the EU: some investigation is going on arousing much interest. This topic also relates to the so-called “double-speed” Europe and wide economical gap between East and West. The future of the EU (Brexit and the future of Lithuanian citizens in UK, Italian budgetary problems, breach of the rule of law by Hungary and/or Poland, etc.) is also widely discussed. Cyrille Bret : What are the expectations of the Lithuanian citizens toward the election? Do they feel concerned and involved? And What can be the impact of the elections on the domestic political life of the country? Arūnas Gelūnas : the Lithuanian electorate is more focused on local issues and is not very active in European Parliament elections. It is a paradox, but EU institutions are more trusted (over 60%) in Lithuania than local political institutions (Government has the trust of less than 20% of the population, Parliament and political parties – less than 10%). Probably this could be explained by the fact that the most serious challenges are believed to be in local politics (low salaries and high prices, difficult access to medical services and good education, low retirement pensions, high degree of poverty, etc.). On the other hand, EU Parliament election will possibly attract cyber attacks and disinformation campaigns from Russia, as Kremlin is interested in seeing anti-European politicians in EU Parliament to help weaken the EU and foster its disintegration (already stimulated by Brexit and far right parties in Central Europe). 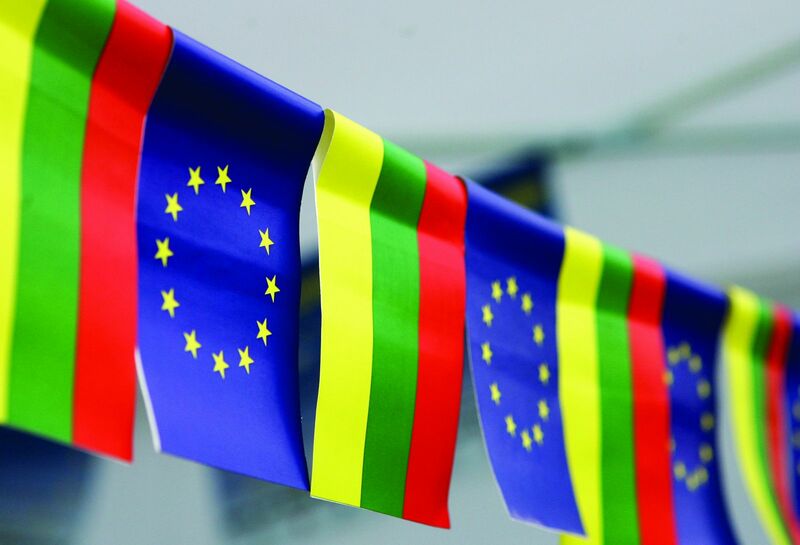 Lithuania (and all three Baltic countries) are seen by Kremlin’s hard-liners as “lost Russian territories”, so it is in their interest to weaken Lithuania’s attachment to European values, promote anti-European scepticism (“decadent” European values of gay marriages, legalised light drugs, hordes of migrants from North Africa and Syria, etc.). Expectation of average elector would be continued financial support of EU (structural funds), free travel and work within EU territory. Cyrille Bret : in May 2019, the Lithuanian voters will send 11 MPs to the European Parliament. What parliamentary groups are they likely to join? What will be their agenda? Arūnas Gelūnas : Lithuania has the right to elect 11 EU parliament members (it was 12 before 2009). Traditionally, with varying proportions, Lithuanian parliamentarians belong(-ed) to EPP-ED, PES and ALDE groups. This might change slightly next year with some candidates that might lean towards more Euro-sceptic views or towards the Greens, but also might not (as Lithuania remains predominantly an Euro-enthusiast nation. There are convinced Euro-federalists among the candidates, but also advocates of “Europe of the Nations”. Social aspect will possibly be underlined by all candidates, they will also campaign against “Europe of two speeds” and definitely for Europe that has to strengthen her armed forces and immunity to cyber-threats.